Keywords: Indoor Air Quality, Physical-Chemical Environmental Parameters, Public Health. Introduction: The appearance of the Indoor Air Quality (IAQ) as a Science appear in the 70's due to the energy crisis with consequent construction of private buildings. This vision only gained worldwide relief because of the discovery that a decrease in rates of air exchange in this type of buildings was the main cause for air increased pollutant concentration in the indoor air. Objetives: To evaluate the IAQ regarding the applicable legislation in gyms. Methods: The present study is characterized by being of level II, observational and cross-sectional cohort. The sample consisted of 3 gyms Coimbra and by 7 workers/. In order to achieve this objective, there was an analytical assessment of both physical and chemical parameters and filling questionnaires by the workers. Results: Regarding the obtained results of the evaluated parameters, it is possible to conclude that the PM 10 (Particulate Matter diameter of 10 mg/m3 ), the VOC's (Volatile Organic Compounds) and Relative Humidity presented risk values concerning workers health. Conclusions: The data collected it was possible to verify the importance and relevance of the studies in the future to ensure a better quality of life for all. Alves, C. A. (2012). Formaldeído em escolas: Uma revisão. Química Nova, 35(10), 2025–2039. Brickus, L. S. R., & Neto, F. R. A. (1999). A qualidade do ar de interiores e a química. Química Nova, 22(1), 65–74. Costa, M. F. B. & Costa, M. A. F. (2006). A qualidade do ar interiores e a saúde humana. Interfacehs, 1(2), 1–10. Ferreira, A. M. C., & Cardoso, S. M. (2013). Estudo exploratório da qualidade do ar em escolas de educação básica, Coimbra, Portugal. Revista de Saúde Pública, 47(6), 1059–1068. Fraga, S., Ramos, E., Martins, A., Samúdio, M. J., Silva, G., Guedes, J., … Barros, H. (2008). Qualidade do ar interior e sintomas respiratórios em escolas do Porto. Revista Portuguesa de Pneumologia, 14(4), 487–507. Madureira, J., Paciência, I., Rufo, J., Ramos, E., Barros, H., Teixeira, J. P., & Fernandes, E. O. (2015). Indoor air quality in schools and its relationship with children’s respiratory symptoms. Atmospheric Environment, 118, 145–156. Matos, C. E., & Andrade, R. D. (2013). Toxicologia ambiental: Aspectos toxicológicos e políticos sobre a poluição do ar. Revinter, 6(2), 75–89. Schirmer, W. N., Pian, L. B., Sílvia, M., Szymanski, E., & Gauer, M. A. (2011). A poluição do ar em ambientes internos e a síndrome dos edifícios doentes. Ciência e Saúde Coletiva, 16(8), 3583–3590. Schossler, I. S., Santana, E. R. R. & Spinelli, R. (2015). Avaliação de qualidade do ar interior em relação às características de ventilação das edificações. Revista Destaques Académicos, 7(4), 230–243. Sodré, E. D., Tórtora, J. C. O., & Corrêa, S. M. (2014). Avaliação da qualidade do ar interior do Hospital Universitário Pedro Ernesto. 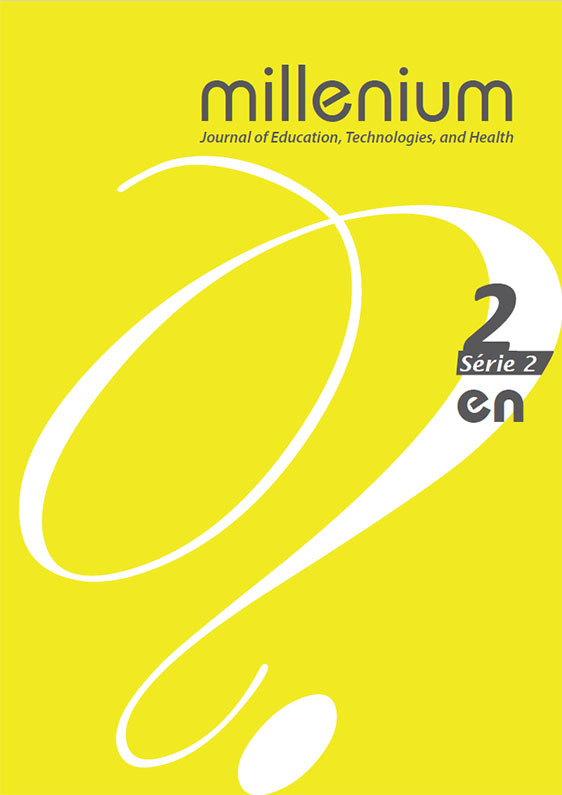 Sustinere – Revista de Saúde e Educação, 2(2), 36–56.